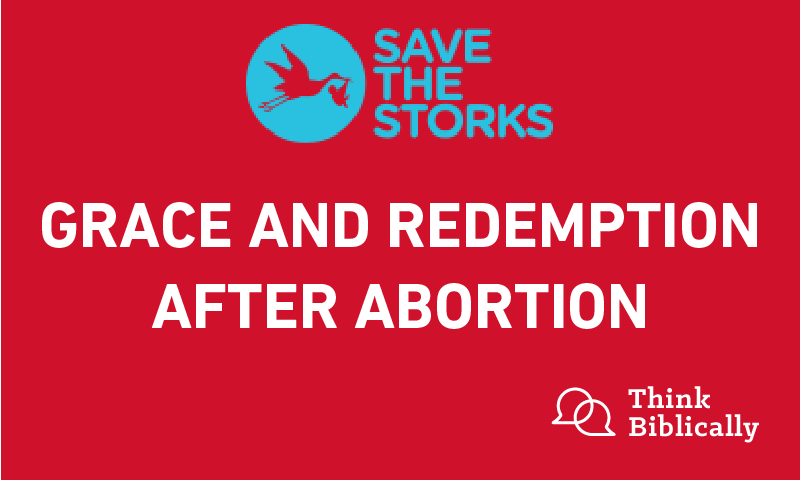 Victoria Robinson is Director of External Relations for the pro-life organization, Save the Storks. She is a widely sought after speaker, media guest and former radio host. Sean McDowell: Welcome to the podcast Think Biblically: Conversations on Faith and Culture. I'm your host Sean McDowell, professor of Apologetics at Talbot Theological Seminary Biola University. Scott Rae: And I'm your co-host, Scott Rae, dean of faculty and professor of Christian Ethics, also at Talbot School of Theology, Biola University. Sean McDowell: Today, we have a unique guest, a friend of mine by the name of Victoria Robinson. We actually met about six or eight months ago on a trip of leaders to Israel. My wife and I sat down Victoria, had a meal and just heard her story, and I was so blessed, I was so encouraged, instantly asked her if she would be willing to come on the podcast and she graciously said yes. She's become a real influencer in the pro-life movement, for a number of years was a pregnancy resource director, and now is working for a ministry called Save the Storks. Victoria, thanks for coming on the podcast. Victoria Robinson: Oh, thank you guys. I really appreciate you having me and it's an honor to be here. Sean McDowell: Let me just start by asking about your story. What's your heart and what's your passion behind the pro-life movement? Victoria Robinson: Well, I got involved in the pro-life movement because of my own personal experience. A little over 30 years ago, I was a single mother with two little girls. They were, at the time, about, oh gosh, 18 months old, and three and a half. Their father, their biological father and I, were married for five years, and he decided he didn't want to be married anymore. He completely just abandoned us, and it was just me and these two little girls. I was a single mom and trying to figure out how I was going to navigate, actually, something as simple as putting food on the table for them because we weren't getting any support from him. I was in a very delicate position. I was struggling as a single mom, and I loved my girls dearly, and I knew that they were my soul responsibility, and I had to do whatever I had to, to take care of them. About, I guess, maybe nine months, six to nine months after their father left us, I met someone at a gym. I was working at a health club for 12 to 14 hours a day, and dropping them off every morning at 6 AM at the daycare, and picking them up every evening around 6 to 7 PM. It was really heartbreaking. I met this guy, I was in this very vulnerable position, and fell madly in love with him pretty quickly, both of us. We just fell in love, thought, "Oh my gosh, we're gonna be together. I want to marry you." All those conversations that take place when you're so sure you've found the one. About nine months into our relationship, I discovered I was pregnant. Instead of being excited, my boyfriend was, first of all, was shocked, and I was kind of shocked myself by his reaction, which was, "Right now you're already struggling as a single mother. We're not even married. I don't want to have a baby right now. It's not good timing for me." Etc, etc. Then I called an abortion clinic in Charlotte, North Carolina, spent a lot of time on the phone with the woman there who also was reiterating what he was telling me, which was, "You're already struggling as a single mom, how are you going to take care of another child? This is not a good situation for you. I agree with your boyfriend. The best course of action is an abortion." Going back and forth, back and forth with them for a couple of weeks, I decided they were probably right, and I scheduled an abortion on a Saturday morning, hired a babysitter who came to stay with my daughters. I told the babysitter I was going shopping at the mall for some big sale, and I hoped that she'd stay with the girls for several hours and she did. I left, drove myself to the abortion clinic because my boyfriend was out of town. He was working, so he couldn't even be there to take me, and I went alone because I was too ashamed to tell anybody, any of my friends, my family. I didn't want to tell anybody, number one, that I was pregnant, and number two, that I was headed to an abortion clinic, so the whole experience happened on my own. When I got to the abortion clinic, I met with the woman in the first room, that takes your money, and I used a fake name, too, you guys. You know, all these things now, looking back, it's like red flag, red flag. You don't want to tell anybody, you're using a fake name because you don't want her to know your real name, and you can't even look at anyone that's in that waiting room, although all of you are there for the same reason. All of these things should have been a clue to me that what you're about to do is not the best decision for you. But I continued on that journey, and she said she was very sympathetic with me, and I told her my whole story again, I was crying and I was saying to her, "Are you sure this is okay? I've got two other children, so I know that what comes from a pregnancy is a child." And she said, "But you're so early. It's just right now, it's a blob of tissue. It's basically a clump of cells. It's not even a baby yet. So, you're young, you're early, leave here and never think of it again, and you're going to be just fine. This is the best choice you could make." IT was all this sympathy and compassion, then when I handed her the $350 cash that she needed for the procedure, she took the money, wrote a receipt, looked at me and said, "Now, if you change your mind when you're on the table, just know this, you're not getting your money back. We don't give refunds here." Victoria Robinson: I mean, her whole countenance changed. So, I walked out of that room, sitting in the waiting room with all these other women, and just, no one was looking at each other, you guys. No one. Everyone's head was down, they hold magazines, and I remember magazines on the table, you know the current magazines, maybe People and things like that, or whatever they were at the time. No one picked any of them up. Everyone sat there with their heads down, not looking at each other. So, they called my name, brought me back, and I went into the room, the doctor came in, and I was still crying. I was lying on the table, I was in position, and I said, "Are you sure this is okay, doctor? Am I doing the right thing?" And he said, "Listen, listen, I don't have time for that. Just spread your legs." TO be quite blunt, that's what he said. "Just scoot down." And the machine came on, I heard the machine, and it was over within a few minutes, and I just cried and cried, and I saw, then, at the table, I didn't know then that they were making sure they got all of the parts out, but at the time, I saw them at the table, and I figured they were probably looking at the elements that came out of my body. So I said to them, "Was it a boy or a girl?" And he turned around and he said, "I can't tell what it is. You're too early." And he just walked out. And I didn't see him again. They took me in the waiting room next, and said, "Now you need to stay here for 30 minutes, and then you can get dressed and leave." In the room they took me in, if you can imagine, it was like, you know how the old days, it was all these hospital rooms, when you see those old Army movies, and all the guys are on cots in a big long room. It was the same way. It was all of these women. There were no curtains up, it was just all of these women on cots, and the [inaudible 00:07:56] in that room, I will never forget. I lasted about five minutes and said, "I want my clothes. I'm leaving." They said, "You still need to stay for 30 minutes." I said, "I don't care. You can't make me stay. I want to get out of here." And I left. I got up and got dressed and left, got on the elevator and immediately knew I had made a big mistake, and my life was never going to be the same. Sean McDowell: Were you a believer at this stage? How did it come, ultimately, to sharing this with others? Victoria Robinson: Well, I would like to say yes, I was a believer. At the age of 10, my parents got divorced and it was devastating to me, so I turned to God and I read this book by Judy Bloom called Are You There God? It's Me Margaret, and it's so funny now, because it's not a faith book or anything. It's about a young woman just talking to God, who's going through all the different changes. She moves out of state, all these different things, and I just so related to that, and I thought, "Gosh, if she can talk to God, I can talk to God." So, at 10, I started talking to God. I didn't find my faith until years later, but I started developing this relationship with him, and I honestly felt like I had one, and I was actually against abortion. I had a step-sister who had abortions as birth control. She's had eight abortions, and I remember being so disgusted with her, and we'd get in arguments about it, and I would tell her how horrible she was, and "How could you do that?" And then here I was, finding myself a couple years later in a crisis pregnancy, and chose abortion myself. Was I a believer, yes, I was, but then again, to an extent. I want to say here, there are many women that I've counseled throughout my career who were Christians when they walked into an abortion room. I've met pastors who took their daughters for abortions in the next states over so that their church would not find out about it. This is not just a Christian or non-Christian issue. There are women walking in abortion clinics with their Christian parents or they've found the Lord years prior, but then they get in that position and think, "Oh my gosh, what kind of good Christian girl gets pregnant out of wedlock? Or gets pregnant out of an affair?" Or all the different circumstances that they find themselves in when they're pregnant. Scott Rae: Victoria, let me follow up just on one aspect of it. You were told by the counselor at the clinic where you had the abortion done that you would get the procedure done, over with, and move on with your life without consequences or repercussions. What were some of the things that happened in the aftermath of having the abortion procedure that you had to deal with? Victoria Robinson: Well, first of all, she lied, because that was the farthest thing from the truth. You don't walk out of an abortion clinic and forget about it. You may bury it, and sometimes women I've met have buried it for decades, but you never forget about it. It's always there. But immediately, when I got on the elevator, as I said, I knew I was different, in that this fear gripped me, a fear of, "Oh my gosh, what is God now going to do to my two young daughters that are at home? Is he going to take one of them for what I've just done." I became this hovering mother who, any time they went somewhere or even as they got a little older and wanted to go to sleepovers or go and play sports, I had such a terrifying fear that harm was going to come to them. I don't even think I completely realized it was because of having an abortion until I went through counseling. I started getting involved with men who were very bad for me, and they mistreated me, and I didn't think I deserved any kind of happiness for what I had done. That was another repercussion. I wasn't one of the women who became very, because a lot of women become promiscuous, they rush to get pregnant again to replace the child they lost, they will turn to drugs and alcohol. That wasn't me. Mine was more, I became this woman who had self-loathe for myself. Because of that, I always went for the bad guy. I always made my children feel like they couldn't go anywhere because of fear of something happening to them, because I even instilled that onto them, and would scare them about something happening. So there were so many different symptoms that happen with a woman who chooses abortion, and I also felt like God hated me, and that God could never use a woman who could kill her own child, and that he'd forgotten about me. When I got involved in women's ministry many years later, I still had not told anyone. I didn't tell anybody for 13 years. But I was involved in a very large church in North Carolina where I was one of the worship leaders, who led worship for a church of about 7000 people, who was heavily involved in women and youth ministry. Never had told even my pastor, no one, because I thought they'd kick me out of the church. I thought they would ask me to get off the worship team. But what was so interesting was, at women's conferences that I was a part of, and I was on the prayer team, it was like God had this flashlight above my head, because I would seem to be the woman that all these women would want to come to, to ask for prayer because they'd had an abortion. And I would get so angry with God and say, "Why are you bringing them to me? And I'm praying with them and I'm watching you completely heal their pain and their guilt and their shame, but you haven't even done that for me? So what, are you trying to remind me of it every day?" It was like this battle that I had with him, and I was really angry, because my healing had not come. Now in the midst of all this, the director of the pregnancy center in North Carolina, in this town, in Concord, attended my church. For three years, this precious woman named Mary would come to me and say, "You really need to get involved with our pregnancy center. You would be so good with our clients. We would love to have you." For three years, I put her off, put her off, and I'll never forget, one night, going home from a women's conference that I had spoken at, that I had prayed with women at, and there was this one particular woman who had been carrying around her shame and guilt from abortion, and her pain, and I watched God deliver her at that altar, and I was so happy for her, but I was so angry. It was just like I said, it was, gosh, this constant battle in my mind and in my heart. When I got home and having this fight with God, again, for the umpteenth time, I felt that still small voice say to me, "I've been trying to bring you to healing, but you've refused." And I knew right then, I saw a picture of Mary, and it was Mary who was trying to get me to the pregnancy center because when I finally went, I shared with her after about six months, and she said, "I knew it. I've been waiting for you to tell me. Now we're going to get you in post-abortion counseling because God has such big things for you, but you've got to go through your healing before he can complete it." Scott Rae: How long after you got involved with a crisis pregnancy center? What did that healing process look like, because I take it that Mary was the first person you had told about this. Victoria Robinson: She was. She was. Scott Rae: Tell us a little about what that healing, how that occurred? Victoria Robinson: Yeah, I think it started with Mary. It started with her, because she didn't condemn me. She didn't judge me. She just wrapped her arms around me and said, "I love you and God's forgiven you." 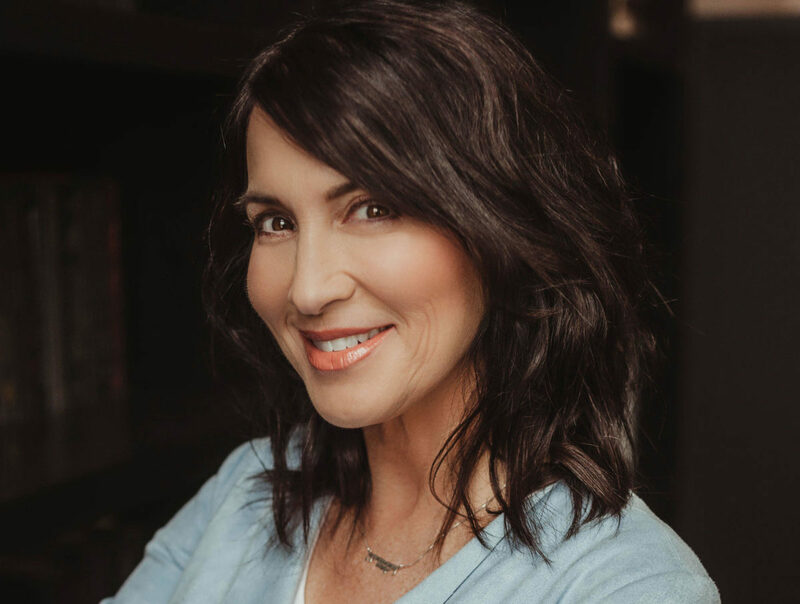 And I think it also started with my own daughters, because now my younger daughters that were there that day when I left to have an abortion, I had been feeling God leading me to write a book about how abortion effects women, and I kept putting that off as well. I put a lot of things off when God asked me to do them. He's very patient with me. But I had come home from being at the pregnancy center, and I was looking at these baby models of the stages of a baby's development, and I looked at six weeks, and ten weeks and eight weeks, and the heartbeat is already detected, and eyelids are being formed, and eyes. I was just sobbing, so my daughter came into the car because I had been sitting in the driveway and she said, "mommy, what's wrong? You're scaring me. Did someone die?" And I said, "Yes. And I need to tell you." And I told her, and another part of my healing was telling her, and telling my girls because she did the same thing Mary did. She took me in her arms in the front seat of that car, and cried with me, and she was only like 14, 15 years old, and said, "Mommy, I've forgiven you. Jesus forgives you. It's okay, Mommy. You could have told me this. Do you think anything you've ever done is going to change how much I love you?" That was the biggest part of my healing that started, was when those people that I thought would reject and condemn me, and want me to get away from them, embraced me. And that was huge for me. When I went through post-abortion counseling, it was called Forgiven and Set Free, it's a bible study that Linda Cochran did, and I still, to this day, I use that in the post-abortion retreats that I conduct. It changed everything. And it got to the point where I felt like now, if someone doesn't forgive me, or if someone looks at me and judges me, they can take it up with my Father, because I'm healed. I'm completely healed and I couldn't even look in the mirror, you guys, and say, "You had an abortion." I couldn't look in the bathroom by myself, at myself, with no one around, and get those words out of my mouth. Now, I'm speaking all over the country sharing my story, because of God bringing me through that healing process. Sean McDowell: Victoria, we're so grateful that you're sharing your story, your vulnerability, your honesty. Let me ask you a question that surprised me a number of years ago, when I started to work with pregnancy resource centers, which is how much abortion often ultimately effects a man as well. Would you be willing to talk about that a little and how, at the pregnancy resource center and even maybe what you're doing now, would minister to men, how they're effected by this? Victoria Robinson: I'm so glad you asked that, Sean, because I don't want us to forget about the men, and we can't. There are 50 million plus men out there who are suffering from post-abortion stress, is what we call it, as well as women, and I will tell you this, when I wrote my book They Lied to Us, the father of my aborted child, and I knew, still, a lot of the same people a decade later, and I felt really compelled to call him to tell him that this book was going to come out and it was going to be out there. I just felt like I owed that to him. But for all the years leading up to that, over a decade, because we had not spoken about it ever, we broke up, which by the way, 9 out of 10 times where an abortion occurs, the couples break up. He was telling me, "We got to stay together. I love you. Let's get married later. We'll have kids later. You know how much I love you and the girls." And I'm thinking, "okay, this is what's best for us." Well, guess what, we were broken up nine months later. We never looked at each other the same. The abortion was a constant reminder of what we'd done, so it was never the same. I called him to tell him, and when he heard my voice on the phone, all these years I thought I was the only one carrying this burden, all these years I thought I was the only person in this scenario that was affected by the choice we had made, and, to be frank, all he had to say to me was, "Don't do it," and I wouldn't have done it. But all these years I thought he's just going on with his life and doesn't even think about it. When I called him and he heard my voice, he just sobbed. He said, "I've been waiting for this call for years. I've been hoping and praying someday I would be able to see you or talk to you to tell you how sorry I am, and how this has haunted me for years. I'm in therapy because of it. I can't let go of it. Can you please forgive me?" And I, at that moment, I'm going to be honest with you, up until then, I don't think I had a lot of sympathy for the men involved, because in my own experience, I figured all men are like that, which now I have come to learn, there are many who beg their wives or their girlfriends not to go through with an abortion. My brother is one of them. And yet they went through with the abortion. So there are a lot of men, whether they pressured a woman, paid for it, drove her, insisted, whatever the case is, they are still suffering afterwards, so he cried and cried, and we had this beautiful conversation where we forgave each other, and it was when I hung up the phone from him that I realized, "Oh my gosh, Lord, these men are hurting, too." It isn't just about women, and I don't ever want to forget men. When I travel and speak, men come to me at the book table and they thank me for mentioning them. They thank me and say, "Thanks for not forgetting about us." Sean McDowell: Victoria, how common is your story and experience within the church? Victoria Robinson: Oh, gosh. It's so common, Sean. I mean, with one out of four women, I believe, are the last numbers that I've researched having abortions. They're sitting in churches. And they're terrified to tell anybody because, for fear like I had. For fear that they're going to be judged and ostracized and kicked out of church. And if they're at a church that does that, they're at the wrong church. You know? That's what I tell women. I say, "If you're afraid to tell your pastor or your women's ministry and open up to your church and be honest, then you're at the wrong church if they're not going to embrace you." So, it is so much more common than people think and when I go speak at churches, and I share my story or I go preach about whatever the pastors have asked me to come speak about, I have women and men coming up to me in the church. Now, sometimes they're very careful about approaching me, and I can tell, and I'm sensitive to that, because they don't want someone seeing them talking to me, for fear that they're thinking, "Oh my gosh, they're going to know I'm telling her I've had an abortion in my past, or someone I love has had an abortion in their past," whatever the case. But they're sitting in our churches across the country. Scott Rae: Victoria, let me ask you this. I suspect, Sean, your experience in the church is similar to mine, and I'm curious, Victoria, if yours is the same. We both attend terrific, Bible-teaching churches, yet, our experience is, you can got for a very long time in the churches that we've attended without hearing anything from our pulpits about abortion, about the sanctity of life. Scott Rae: Is that your experience, too? Victoria Robinson: It is. It is, and it's unfortunate. Scott Rae: Why do you think that's the case? Victoria Robinson: I think because pastors don't know how to address it. I think that pastors and people in authority in the churches that, even counseling members of the congregation, when they come to them and say, "I don't know what to do. I've had an abortion." They don't know what to do. They don't know how to help them. In other words, if they don't talk about it, they don't have to worry about dealing with it. And, let's face it, in some churches, there are pastors who are so afraid of offending someone, they don't want to talk about certain issues. That's why, honestly, I wish I was booked every single Sunday in a church all across the country. And I tell pastors, bring me to your church. You don't have to talk about it. Let me come share my story. That opens the dialogue up for conversation. Bring me in, share what I've gone through, let me talk about how God's brought me through it and the healing process, and then let me open those doors for your congregation to know they can get help, whether it's here in their churches or even at the local pregnancy center, because the majority of pregnancy resource centers across the country are offering post-abortion counseling. So, let's start there, because here's what's happening you guys, with a lot of post-abortive men and women. They're going to see counselors and psychiatrists and psychologists who are putting them on medication. Not every time it's the case, but a lot of times, it's the case. Because they're depressed, because they're struggling with abuses, different kinds of abuses and addiction, and they don't know how to handle it. So when you go through a post-abortion counseling that is just set up specifically for the post-abortive man or woman, that's where I believe the healing's going to come from. Because I've had many men and women who have told me, not until they went through a biblically-based post-abortion counseling did they get their full healing. Just think about it. The baby is a spirit. In my opinion, from conception. So that child is a spirit. God is a spiritual God. He's God. How are you going to fill that hole that's created when that baby is taken through drugs, through anything else but God filling that hole, and just covering that wound and healing it. That's why I think pastors need to bring someone like me into their churches to talk about this issue, so we can tell them there is help available for you. Then it takes the pressure off the pastors. Scott Rae: Yeah, this is what saddens me about the fact that we don't talk about this in our churches, because if you're story is at all representative, which I'm sure it is, of the experience of women who go down this road, I can't think of too many other narratives that are more in need of the teaching of the grace of God. Scott Rae: Than where you've been. Where else are women and the men involved going to hear about the message of grace if it's not in our churches? Victoria Robinson: Think about this Scott, they're sitting in churches for decades sometimes, years and years, sitting there in their pain of abortion in their past, yet no one's talking about it. What does that reiterate to them? What message is that sending? "They don't even want to talk about it, why would I talk about it? Because they even know how horrible it is. The unforgivable sin." Scott Rae: The silence, it's a silence of judgment. Scott Rae: It's perceived that way. Victoria Robinson: It is a silence of judgment. That's a great way to put it. It really, truly is, and it's got to be talked about. It must be talked about because they are 100%, and I have never gone to a church, never, and I speak a lot, not as much as I'd like to, because I'd like to speak every day if I could, that's how much I know the message needs to be heard, but there's never been a church or a women's conference or even a youth conference or on a college campus, wherever I have spoken, never have I gone somewhere, where I have not been approached afterward. Never. Sean McDowell: How would you assess, just kind of how the pro-life movement is doing today? Are you encouraged by it, how many young people came out, millennials and Gen Zers to the March for Life? Are you discouraged? Give us the sense from inside, how you see the Pro Life movement on all fronts, doing today? Victoria Robinson: I am encouraged by is Sean. I really am. I think that if more people like myself and others like you guys discussing it here, I think as we continue the conversation, it's going to grow, and grow, and grow as well. I would say that I'm very encouraged. I think one of the parts that's still missing completely is talking about the men. We're creating conversations about the women who are post-abortive more and more, but we need to not forget about the men. That's something that I'm very passionate about. With Save the Storks, we're working on different campaigns to address the men, as well. I am encouraged. The bottom line is that we serve a God who wants the truth to be told, and I don't think there's any stopping him. And I think that, as long as he's got willing participants like myself, like you guys, who are willing to put ourselves out there and talk about it, and sometimes not be real popular with everybody, but that's okay. Means we're doing something right. Then I just think that the movement's going to grow. Now, I do believe the conversations have to change. I have never been one who advocates holding dead babies, dead aborted babies on signs and putting them in women's faces. I have never been one of those people. Maybe others would argue that it works, and they feel that's what they're called to do. That's fine, go ahead if that's what you feel called to do. I, however, am a post-abortive woman, and before I came to healing, the last thing I needed you to do was stick a dead baby in my face. I already knew what I did, I was already dealing with it, all you were doing was just making me feel more guilt, more shame, and more silent. So, I just think that we have got to shift away, review how we operate in the pro-life movement. Sean McDowell: On that note, let me ask you a final question before we wrap up. Can you tell us just a little more with what you're doing with Save the Storks in your ministry today? Victoria Robinson: I would love to. I am still speaking across the country. I'm still continuing to share my message and my story in different venues, and what I am doing now with Save the Storks, which met the founder, Joe and Anne Baker are the founders of Save the Storks, and you can find out everything about them at savethestorks.com, and I would encourage you to go there. We just released a video campaign last Tuesday that's, I think, over 2 million views now, already, and over 30,000 shares on Face- It's just exploded, and I would encourage everyone to watch it. But what I am doing with them, is when I met Joe and Anne Baker several years ago at a conference, I loved what they were doing, the vision of taking these mobile Mercedes sprinter vans that were outfitted with state of the art ultrasound equipment to the women. Guys, we live in a fast food mentality country today. Everybody wants it now, they want you to bring everything to them. I mean, people don't even go to malls anymore. They order everything online. Everything is quick, quick, let's get it now. These buses are taking the ultrasound to the women, because a lot of the women aren't walking into pregnancy resource centers. Some of them are going to say, "I'm just going to go get my abortion." But if there's a bus, which is what Save the Storks offers them for free, without judgment, without fear, and with a medically trained staff to do a free ultrasound, they're more likely going to walk on a bus. As a matter of fact, four out of five women who walk on the Storks bus choose life. Heartbeat, when a woman hears the heartbeat of her child, it's very difficult to deny that's a living human being, a breathing human being, so it takes that head knowledge and makes the heart knowledge. So, I'm so excited to be involved with them as their director of external relations, and my job with them will be just meeting the people, to handling the media, handling interviews, and working with donors. I'm just so, so excited about the opportunity that's been brought to me by them, and I think it's going to be ... they have partnerships with pregnancy resource centers across the country. That is just a natural fit for me, because I've been a pregnancy resource center director for almost two decades. Scott Rae: Victoria, thanks so much for that reference to Save the Storks. I know our listeners will want to be praying for the work that Save the Storks is doing, particularly your role and we'll be praying that you will get to speak every Sunday of the year. Victoria Robinson: Hey, bring it. I am a busy woman, but I want to be even more busy, because that means more people are hearing the message that there is reconciliation, redemption, and there is healing even after an abortion. Sean McDowell: I'll encourage our listeners, definitely, to go to savethestorks.com, and go tell your local pregnancy resource center about Victoria Robinson. I spoke, just last week, at our local PRC and I'm going to email the director and say, "Hey, you need to check out my friend Victoria," because we're so thankful for your story, for your courage, for your clarity, for your boldness. So proud of you and just grateful for your ministry. Thanks for everything you're doing and just for carving out time to join us on the podcast today. Victoria Robinson: Thank you guys. Sean, Scott, I still appreciate this so much, anything I can do in the future, I'm a phone call away. Sean McDowell: This has been an episode of the podcast Think Biblically: Conversation on Faith and Culture. To learn more about us and today's guest, Victoria Robinson, and to find more episodes, got to biola.edu/thinkbiblically. That's biola.edu/thinkbiblically. If you enjoyed today's conversation, give us a rating on your podcast app, and share it with a friend. Thanks for listening and remember: think biblically about everything.